The Wave need to beat the Baltimore Blast in Game 2 of the Major Arena Soccer League Eastern Conference finals, then win the Game 3 mini-game tiebreaker to advance to keep their season alive. The Blast (17-7) took Game 1 of the series Saturday night on their home turf, rallying from a three-goal, second-half deficit to beat Milwaukee 8-7 in overtime. Jonatas Melo ended it just 48 seconds into the golden-goal extra period for the reigning MASL champions. 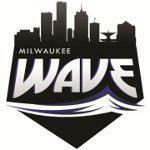 The Wave have been here before: In the Central Division finals, they saw the host Kansas City Comets come back to post a one-goal victory in Game 1 on March 9, but Milwaukee responded by winning Game 2 and the mini-game on the black turf at home March 12. On Saturday, Ian Bennett scored twice – he has a league-best eight goals in four playoff games and 61 goals in 24 matches overall this season – as the Wave (15-9) opened up a 6-3 lead midway through the third quarter. Baltimore rattled off four straight goals and went ahead 7-6 in the opening minute of the fourth, but Milwaukee's Max Ferdinand pulled the visitors level against his former team late in regulation. With goalkeeper Josh Lemos off in favor of Drew Ruggles as a sixth attacker, Ferdinand scored his second goal of the night on a drive from the right side with 67 seconds remaining to force overtime. The decisive sequence started with a challenge by Baltimore's Juan Pereira on Daniel Chamale that left the Milwaukee defender on the ground. No foul was called, much to the Wave's dismay, and the Blast broke in 3-on-1, with Melo and Dantas executing a give-and-go down the right side and Melo slotting past Lemos for the game-winner. Baltimore, which was limited to just 14 shots on goal in the game, evened the season series against the Wave at two games apiece. The Blast lost Game 1 of the Eastern Division finals against the Harrisburg Heat last week, but won Game 2 and the tiebreaker mini-game on the road to advance to the conference finals. Soles de Sonora (20-3), who were swept by Baltimore in last year's Ron Newman Cup finals, lead the Western Conference finals against the San Diego Sockers (16-8) after a 7-3 victory Sunday in San Diego. Game 2 and the mini-game if necessary are Saturday in Hermosillo, Mexico.